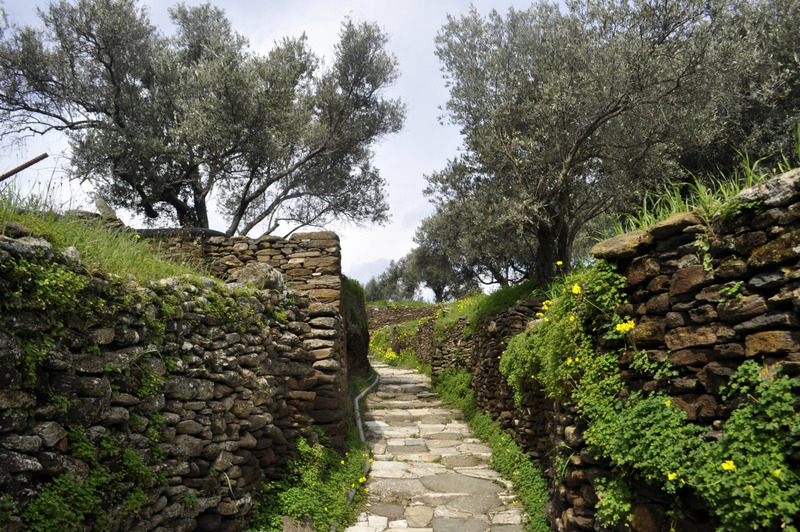 The trail leading to Agios Symeon starts with a beautiful strolling on the narrow streets of Artemonas village. 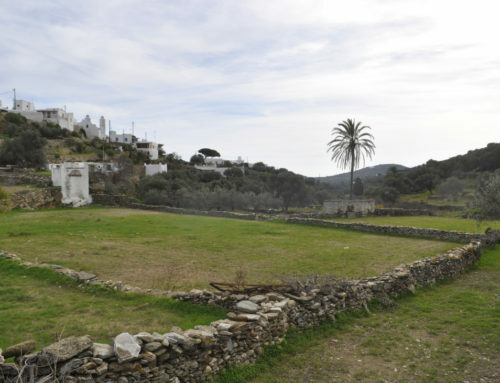 Right and left, 19th c. mansions testify of a rich past. 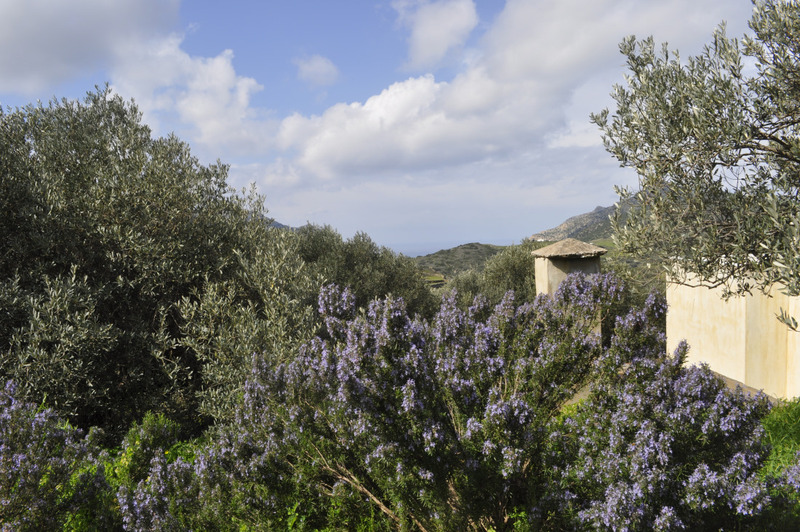 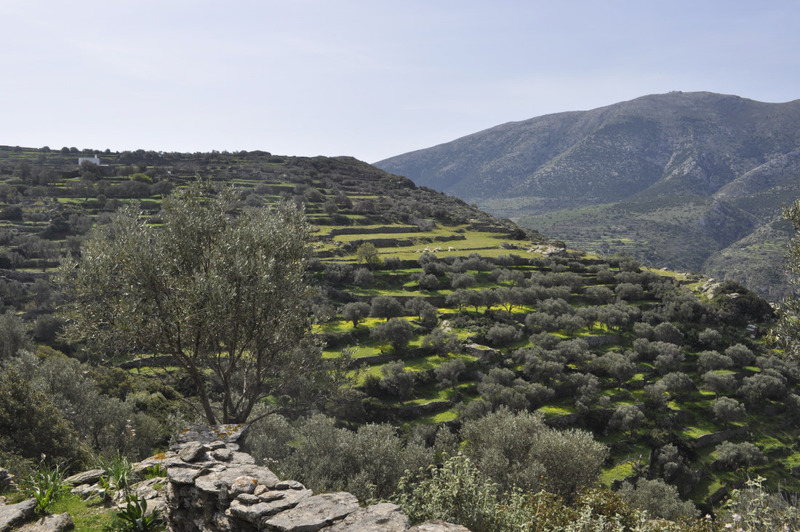 Leaving the village behind, you will enter a place called Kalambelas, full of terraces and olive groves, all of them still in cultivation. 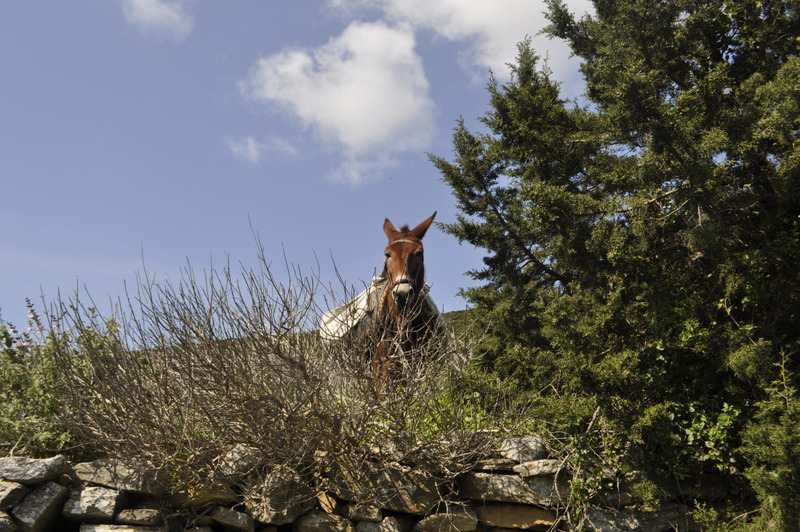 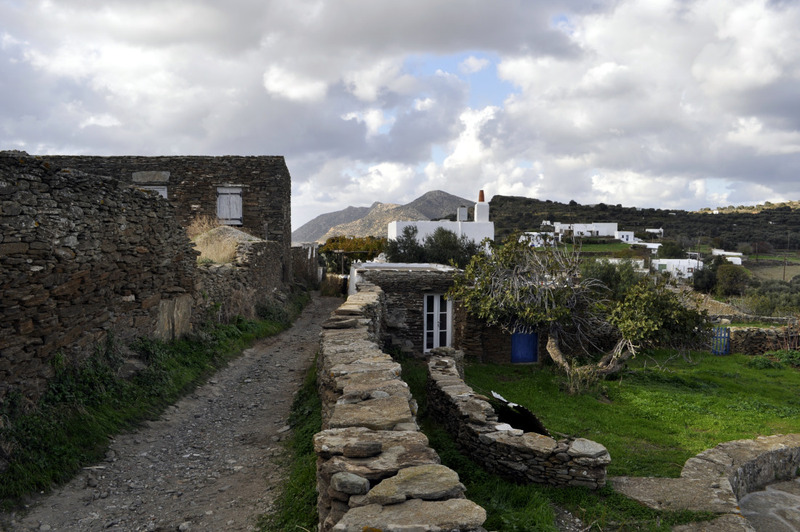 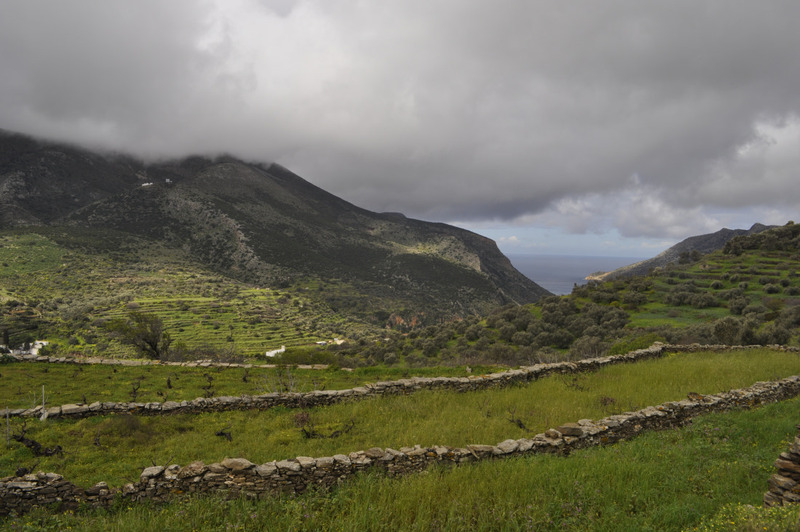 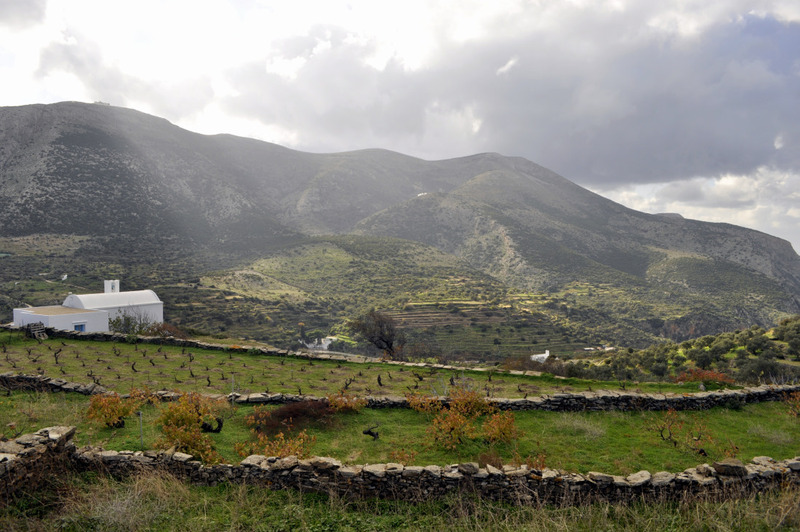 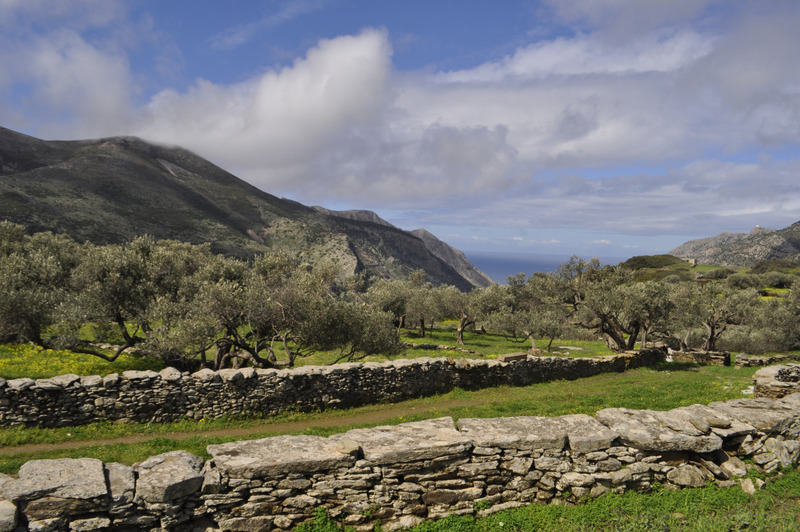 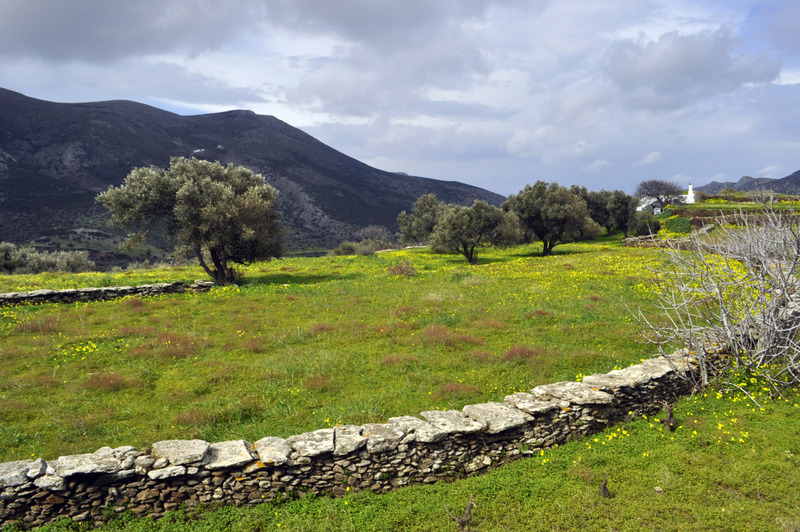 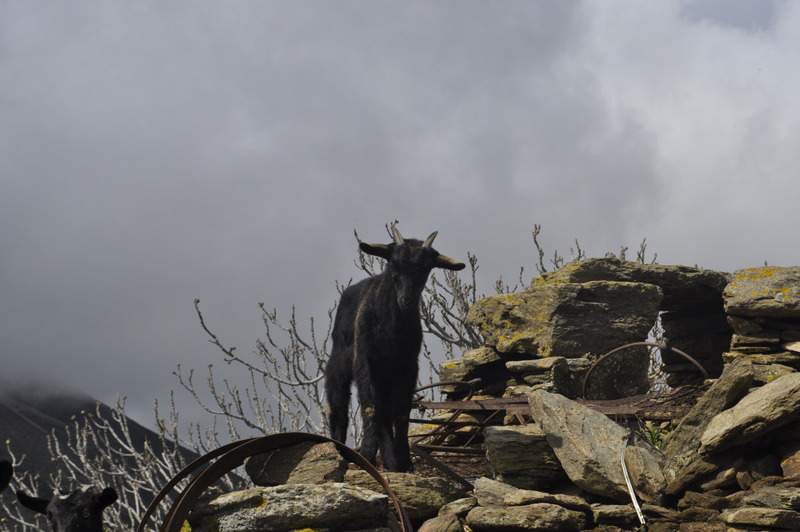 This is where the “journey” on the agricultural landscape of Sifnos starts. 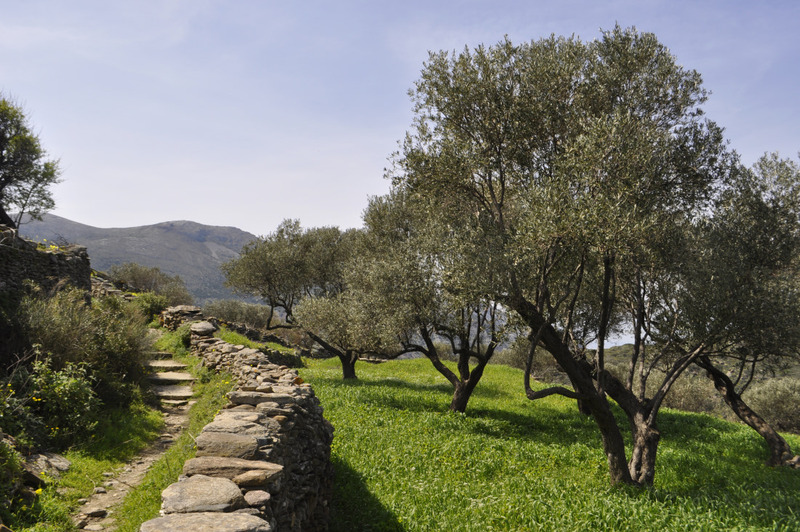 You will pass by fields with cereals, olive trees, vineyards, small chapels, always on large footpaths till you get to the source called Tris Piges (translated “the three sources”).  This will be the lowest part of the trail. 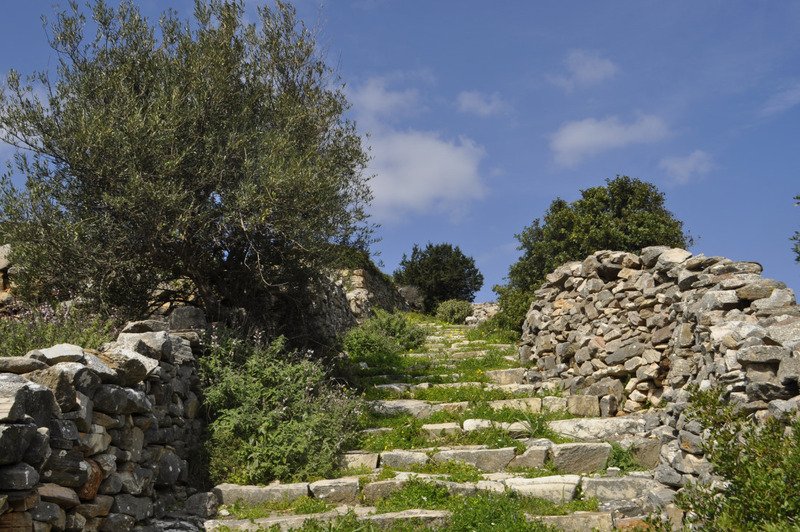 Take a rest, as you will soon hit an endless ascent. 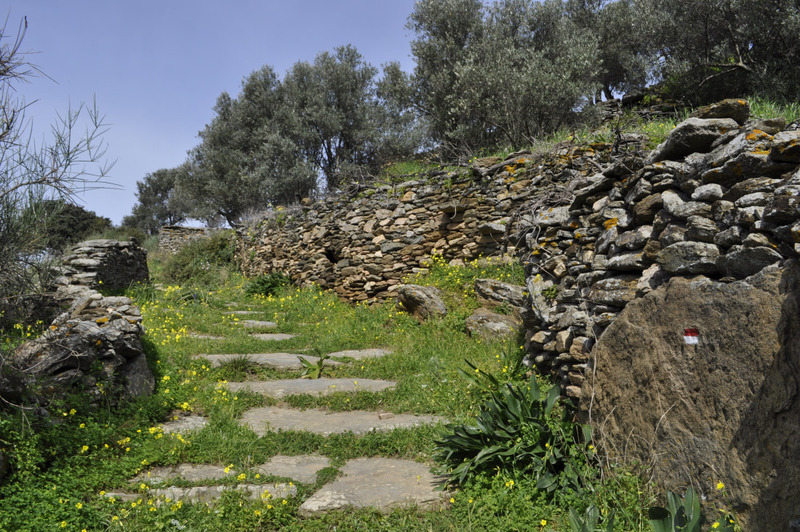 The first part of the uphill trail goes on an impressively large, well-kept, white shiny stone trail. 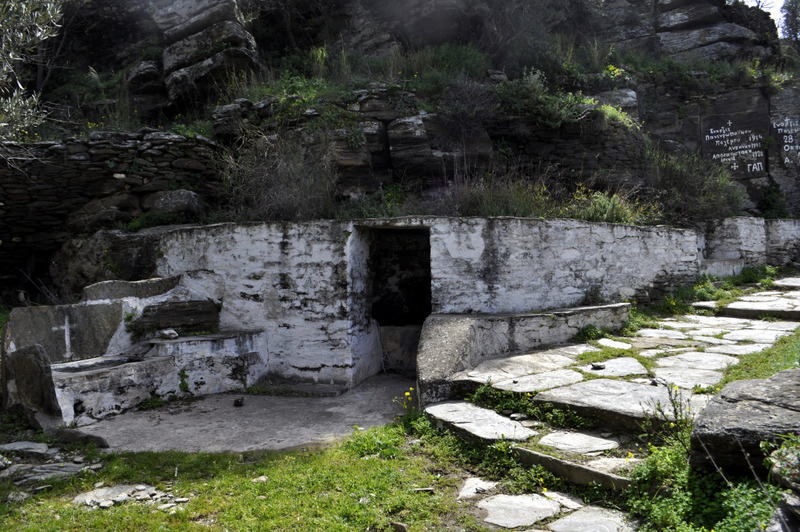 For a few meters, you will pass by the old waste deposit area. 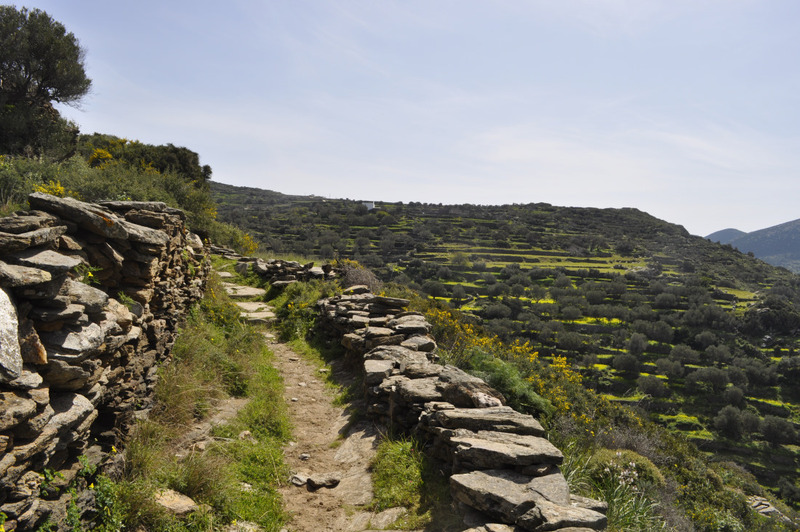 This is unfortunately part of our civilization, and we shouldn’t hide it… From there, the trail moves parallel to the road, until the last uphill section that will reach one of the most famous churches of Sifnos, Agios Symeon. 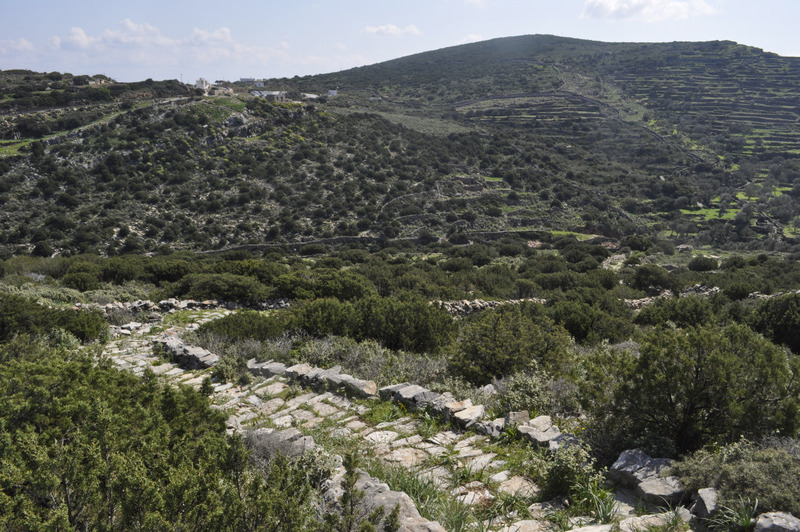 This trail ends in a place that is not served by bus. 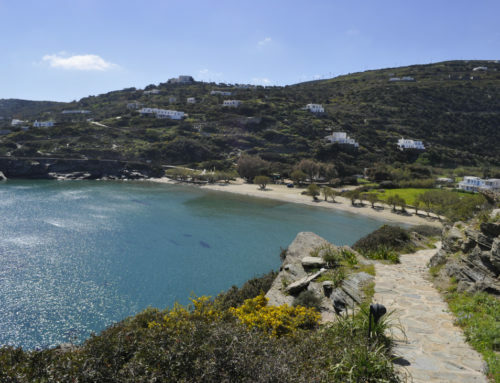 Either you will need a taxi to go back, or you will have to walk it back. 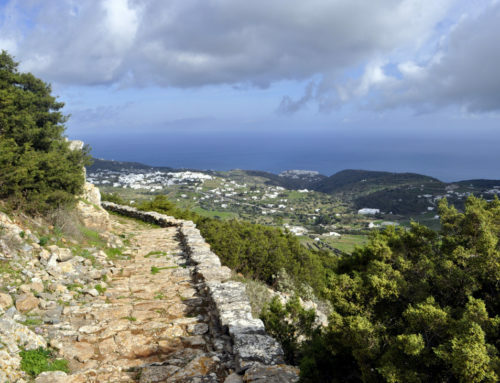 Many people might prefer to walk the trail from Agios Symeon to Artemonas, which offers spectacular view as you descend, and it has less uphill accumulation. 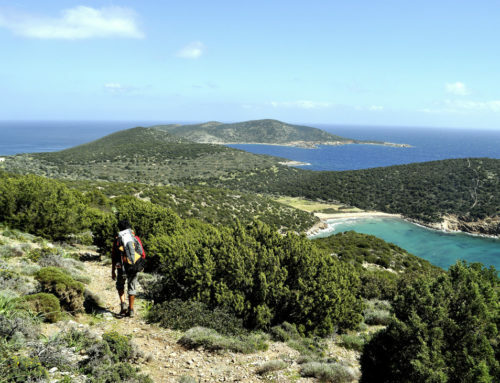 Trail 7A is an alternative first part of trail 7, to Agios Symeon. 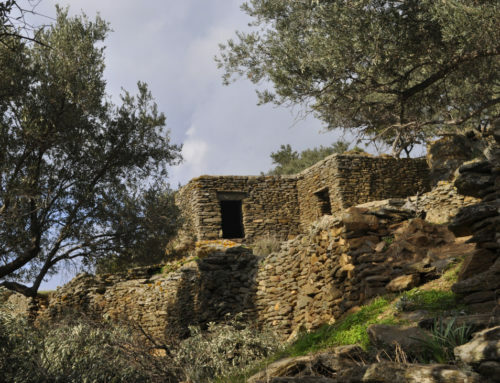 It starts in Apollonia, climbs up through the narrow streets of the village to Pano Petali and Trava Vounia, to meet trail 7 in Kalambelas. 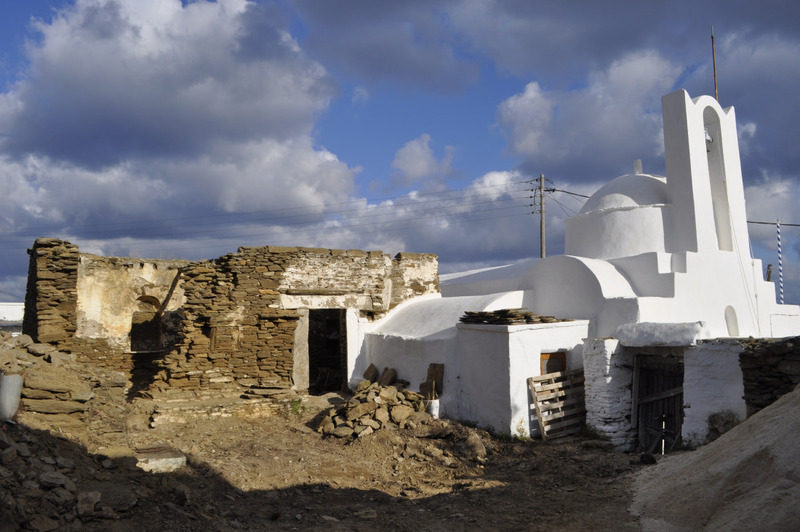 On your way, you will pass by the church of Agios Antypas. 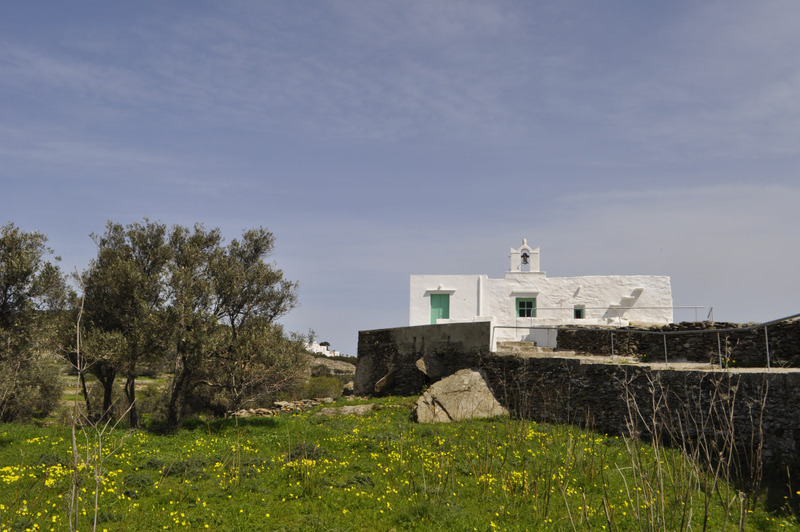 The cells of this church were used as the first primary school of Sifnos between 1821 and 1825. 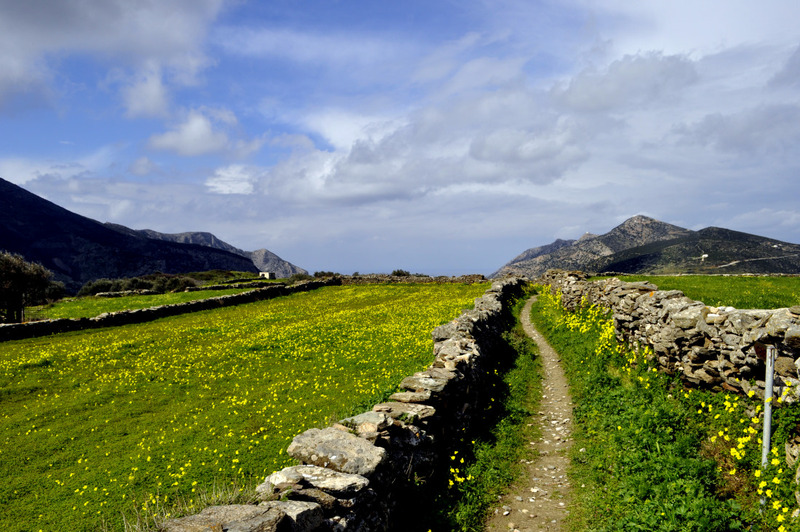 The last part of the trail moves between a mixed agricultural and habitations landscape.